The best evidence that Russia-gate is sinking beneath the waves is the way those pushing the pseudo-scandal are now busily covering their tracks. The Guardian complains that “as the inquiry has expanded and dominated the news agenda over the last year, the real issues of people’s lives are in danger of being drowned out by obsessive cable television coverage of the Russia investigation” – as ifThe Guardian’s own coverage hasn’t been every bit as obsessive as anything CNN has come up with. The result is a late-breaking media chorus to the effect that it’s not the fault of the FBI that the investigation has dragged on with so little to show for it; it’s not the fault of Mueller either, and, most of all, it’s not the fault of the corporate press, even though it’s done little over the last two years than scream about Russia. It’s not anyone’s fault, evidently, but simply how the system works. This is nonsense, and the gaping holes in the Times article show why. The Manafort associate with the supposed Russian intelligence links turns out to be a Russian-Ukrainian translator named Konstantin Kilimnik who studied English at a Soviet military school and who vehemently denies any such connection. It seems that the Ukrainian authorities did investigate the allegations at one point but declined to press charges. So the connection is unproven. 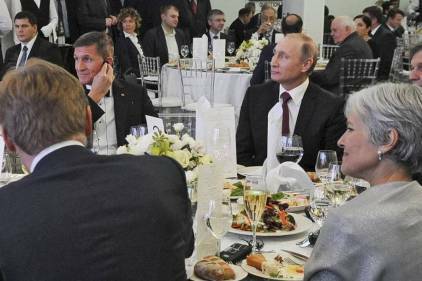 The same goes for Carter Page, who was not “recruited” by Russian intelligence, but, rather, approached by what he thought were Russian trade representatives at a January 2013 energy symposium in New York. When the FBI informed him five or six months later that it believed the men were intelligence agents, Page appears to have cooperated fully based on a federal indictment filed with the Southern District of New York. 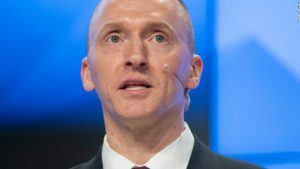 Thus, Page was not a spy pace the Times, but a government informant as ex-federal prosecutor Andrew C. McCarthy has pointed out – in other words, a good guy, as the Times would undoubtedly see it, helping the catch a couple of baddies. As for Papadopoulos, who the Times suggests somehow got advance word that WikiLeaks was about to dump a treasure trove of Hillary Clinton emails, the article fails to mention that at the time the conversation with the Australian ambassador took place, the Clinton communications in the news were the 30,000 State Department emails that she had improperly stored on her private computer. These were the emails that “the American people are sick and tired of hearing about,” as Bernie Sanders put it. Instead of spilling the beans about a data breach yet to come, it’s more likely that Papadopoulos was referring to emails that were already in the news – a possibility the Times fails to discuss. One could go on. But not only does the Times article get the details wrong, it paints the big picture in misleading tones as well. It says that the FBI was “perplexed” by such Trump antics as calling on Russia to release still more Clinton emails after WikiLeaks went public with its disclosure. The word suggests a disinterested observer who can’t figure out what’s going on. But it ignores how poisonous the atmosphere had become by that point and how everyone’s mind was seemingly made up. Not only did Clinton believe this, but her followers did as well, as did the corporate media and, evidently, the FBI. 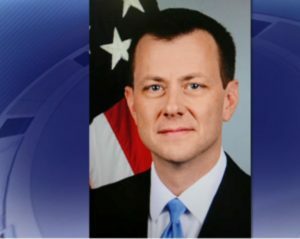 This is the takeaway from text messages that FBI counterintelligence chief Peter Strzok exchanged with FBI staff attorney Lisa Page. This is the institutional bias that the Times doesn’t dare mention. An agency whose top officials believe that “f***ing conniving cheating savages” are breaking down the door is one that is fairly guaranteed to construe evidence in the most negative, anti-Russian way possible while ignoring anything to the contrary. So what if Carter Page had cooperated with the FBI? What’s important is that he had had contact with Russian intelligence at all, which was enough to render him suspicious in the bureau’s eyes. Ditto Konstantin Kilimnik. So what if the Ukrainian authorities had declined to press charges? The fact that they had even looked was damning enough. What else would one expect of people as “nasty” as these? In fact, the Steele dossier should have caused alarm bells to go off. How could Putin have possibly known five years before that Trump would be a viable presidential candidate? Why would high-level Kremlin officials share inside information with an ex-intelligence official thousands of miles away? Why would the dossier declare on one page that the Kremlin has offered Trump “various lucrative real estate development business deals” but then say on another that Trump’s efforts to drum up business had gone nowhere and that he therefore “had had to settle for the use of extensive sexual services there from local prostitutes rather than business success”? Given that the dossier was little more than “oppo research” commissioned and funded by the Democratic National Committee and the Clinton campaign, why was it worthy of consideration at all? But all such questions disappeared amid the general rush to believe. The Times is right that the FBI slow-walked the investigation until Election Day. This is because agents assumed that Trump would lose and that therefore there was no need to rush. But when he didn’t, the mood turned to one of panic and fury. 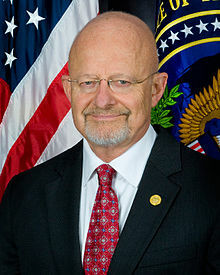 Without offering a shred of evidence, the FBI, CIA, NSA, and Director of National Intelligence James Clapper issued a formal assessment on Jan. 6, 2017, that “Putin ordered an influence campaign in 2016 aimed at the US presidential election … [in order] to undermine public faith in the US democratic process, denigrate Secretary Clinton, and harm her electability and potential presidency.” The “assessment” contains this disclaimer“. The Times clearly regards the idea as preposterous on its face. But while Trump is wrong about many things, on this one subject he happens to be right. The press, the intelligence community, and the Democrats have all gone off the deep end in search of a Russia connection that doesn’t exist. They misled their readers, they made fools of themselves, and they committed a crime against journalism. And now they’re trying to dodge the blame.